Michael J. Coffino was a basketball coach for twenty-four years. He coached primarily at the high school level at public and private schools and won six league titles in his time as a head coach. Coffino has also assisted professional basketball teams. He is the co-author of the book Play It Forward (2016) and author of Odds-On Basketball Coaching: Crafting High-Percentage Strategies for Game Situations (Rowman & Littlefield, 2017). Michael Coffino reminds us of both the tremendous opportunity and great responsibility all who work in high school athletics have to our students. He provides concrete examples of ways to enhance the experience for all in achieving the desired outcomes. It is a must read. Michael Coffino is spot on in his description of the specific qualities and characteristics a good coach can draw out of the high school athlete. Every high school athletic director and administrator needs to read The Other Classroom to, one, be reminded of the importance of prep sports and, two, to fully understand the range of qualifications a potential high school coach must have to properly guide his/her players to their full potential. The importance of high school athletics to a developing and maturing adolescent can never be undervalued. Coach Coffino has crafted an essential handbook for how high school coaches and athletic administrators can and should create the best learning environments for the adolescents under their charge, so they may flourish at that crucial stage of their development. As The Other Classroom so powerfully shows, high school coaches occupy a special place as guardians: a calling to help our youth become good people first and good athletes second. A wonderful read for anyone who has ever played, cheered, watched or coached high school sports. Essential reading for parents of kids who are involved in, or will one day play, high school sports. When the trophies, plaques and banners are all collecting dust, Coffino’s teachings and observations will be in the heart and mind of every former high school athlete turned college graduate, professional, parent and mentor. Excellent book. The Other Classroom is essential reading for all high school administrators, principals, faculty, athletic directors, coaches, and parents. 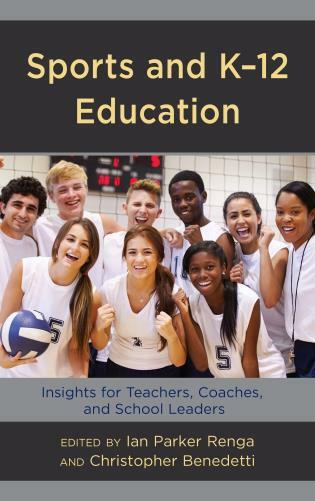 Mr. Coffino’s book is a profoundly thoughtful, research-and-evidence-based study on the extensive scope of the positive effects resulting from truly integrated academic and sport high school curricula. He persuasively details the great opportunities realized or lost in the development of the mind, psyche, and body of our high school students. Coach Coffino does an excellent job demonstrating that the high school arena is a vital extension of the classroom. His various illustrations and narrative pose challenges to every coach and athletic director to run impactful athletic programs and help our athletes become the next leaders in our society. Michael Coffino makes a clear case for the value of high school athletics. While there are many critics who question the role of athletics in schools, Michael shows how transformational high school sports can be. It is not just an extracurricular activity but rather a very important part of the educational process. This book should be read by administrators, coaches, parents and athletes. When parents and athletes feel that travel teams are more important than high school athletics this book might help them think otherwise. The Other Classroom demonstrates that value-driven high school athletic programs help develop attributes, like integrity, leadership, confidence and self-esteem, that become lifelong character traits, as well as valuable skills that enhance academic performance and future careers. A highly recommended resource for anyone interested in education or athletics. Michael Coffino makes a provocative case that the skills learned playing high school sports can be more important than English or chemistry to success in later life. Michael Coffino’s The Other Classroom is a timely statement on a topic consuming millions of adults and youths across our country. Among other essential contributions, Coffino shows how high school athletes have the potential for growth in conflict resolution, character, leadership, and citizenship. The Other Classroom speaks to the growing need to get high school sports right for our children and adults, for along with the potential for remarkable growth in sport participation comes the ever-growing negative consequence of failing to approach high school sports with an educator’s perspective. If you ever doubted the significant impact of high school athletics on the lives of our youth, read The Other Classroom. Michael Coffino does a magnificent job showing how high school athletics teach the principles, values and skills we hold dear as a nation, yet so often shun in academic offerings, including empathy, citizenship, leadership, teamwork and willingness to take calculated risk, critical traits for anyone entering the job market and having a productive life. It is essential reading for athletic directors, coaches, school administrators, parents and employers. 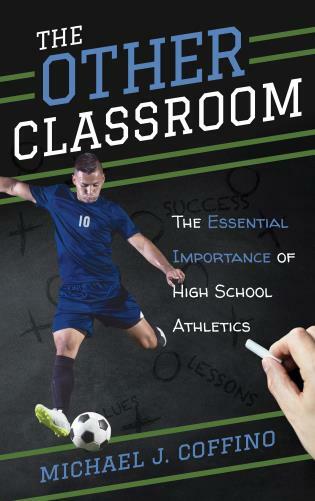 Drawing on extensive research, illuminating anecdotes, heartfelt commentary from original interviews, and Coffino’s personal coaching experience, The Other Classroom issues a passionate challenge to school administrators, coaches, athletic directors, parents, and local communities to bring greater focus on how their high school programs consider the long-term well-being of student athletes. It urges schools to emphasize the importance of preparing student athletes to flourish as adults in whatever they pursue once their formal education is complete.